The development of a European Strategic Energy Technology Plan to develop technologies in areas including renewable energy, energy conservation, low-energy buildings, fourth generation nuclear reactor, clean coal and carbon capture and sequestration (CCS). 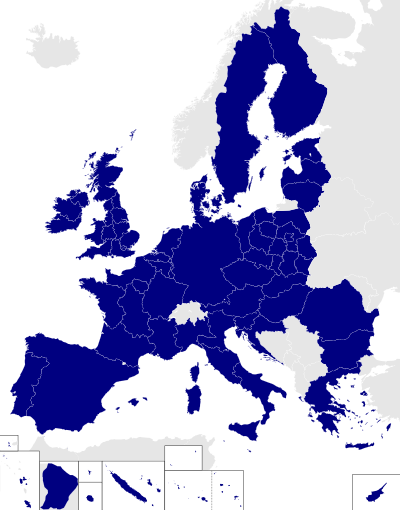 The European Energy Research Alliance (EERA) is founded by the leading research institutes in the European Union (EU), to expand and optimise EU energy research capabilities through the sharing of world-class national facilities and the joint realisation of national and European programmes. This new Research Alliance will be a key actor of the EU Strategic Energy Technology Plan (SET Plan) and will contribute to accelerate the development of new low carbon technologies for EU to move toward a low carbon economy. Buildings account for around 40% of EU energy requirements and have been the focus of several initiatives. 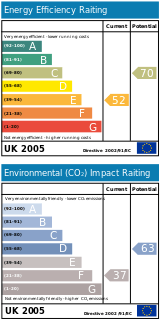 From 4 January 2006, the 2002 Directive on the energy performance of buildings requires member states to ensure that new buildings, as well as large existing building undergoing refurbishment, meet certain minimum energy requirements. It also requires that all buildings should undergo 'energy certification' prior to sale, and that boilers and air conditioning equipment should be regularly inspected. EU policies include the voluntary ACEA agreement, signed in 1998, to cut carbon dioxide emissions for new cars sold in Europe to an average of 140 grams of CO2/km by 2008, a 25% cut from the 1995 level. Because the target was unlikely to be met, the European Commission published new proposals in February 2007, requiring a mandatory limit of 130 grams of CO2/km for new cars by 2012, with 'complementary measures' being proposed to achieve the target of 120 grams of CO2/km that had originally been expected. The European Union Emission Trading Scheme, introduced in 2005 under the 2003 Emission Trading Directive, sets national caps on greenhouse gas emissions for power plants and other large point sources. Documents leaked in late-2016 reveal that a confidential European Union impact assessment analyzes four scenarios for paring back the 'priority dispatch' system afforded to renewable generation in many countries. Priority dispatch is mandated under the Renewable Energy Directive 2009/28/EC which expires in 2020. The assessment concludes that removing priority dispatch could increase carbon emissions by 45 million to 60 million tonnes per annum or up to 10%, with the aim of making European energy generators more flexible and cost-competitive. The European Commission imposed anti-dumping levies on Chinese solar panel imports in June 2013. As reported earlier China was selling solar panels under production costs that made the operation without return also for the Chinese solar power companies. Chinese government guaranteed the operation of Chinese solar power companies. 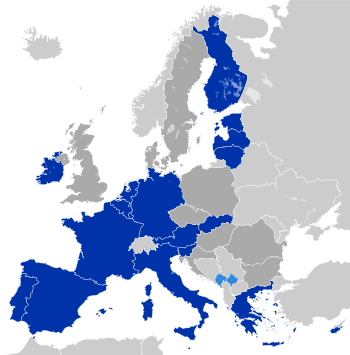 The European Union is also active in the areas of energy research, development and promotion, via initiatives such as CEPHEUS (ultra-low energy housing), and programs under the umbrella titles of SAVE (energy saving) ALTENER (new and renewable energy sources), STEER (transport) and COOPENER (developing countries). Through Fusion for Energy, the EU is participating in the ITER project. A similar survey of 29,220 people in March and May 2006 indicated that the balance had changed in favour of national decisions in these areas (42% in favour), with 39% backing EU policy making and 12% preferring local decisions. There was significant national variation with this, with 55% in favour in the Netherlands, but only 15% in Finland. ↑ Braun, Jan Frederik (24 February 2012). "EU Energy Policy under the Treaty of Lisbon Rules: Between a new policy and business as usual". Politics and Institutions, EPIN Working Papers. p. 14. Retrieved 21 August 2012. ↑ AP (10 January 2007). "Low-carbon economy' proposed for Europe". MSNBC. ↑ "ESA-AnnualReport2009-100908.indd" (PDF). Retrieved 23 April 2011. 1 2 "European Commission - PRESS RELEASES - Press release - Energy Union Factsheet". ↑ "Energy Union and Climate". ↑ "Energy Union and Climate" (PDF). ↑ "Will EU states play ball on Energy Union?". EurActiv - EU News & policy debates, across languages. ↑ "European Council Conclusions on the Energy Union (19 March 2015)". ↑ "EUR-Lex - 52006DC0105 - EN - EUR-Lex". ↑ "EU sticks out neck in global climate change battle". 1 2 "EUR-Lex - 52007DC0001 - EN - EUR-Lex". ↑ "ITER & Beyond". Iter.org. Retrieved 23 April 2011. 1 2 "International Energy Agency – Energy Publications". Iea.org. Retrieved 23 April 2011. ↑ "Energy revolution kick- off meeting, Rapid – Press Release, 26 june 2008 – EUROPA". Europa.eu. Retrieved 23 April 2011. ↑ "European Commission - PRESS RELEASES - Press release - Towards a low carbon future: EuropeanStrategic Energy Technology Plan". ↑ "SNETP - European Sustainable Nuclear Industrial Initiative". ↑ "European Energy Research Alliance (EERA)". Eera-set.eu. Retrieved 23 April 2011. ↑ "Labelling provision in Directive 20003/54/EC" (PDF). Archived from the original (PDF) on 2014-02-20. Retrieved 23 April 2011. ↑ "Communication from the Commission to the European Parliament and the Council: Renewable Energy Roadmap: Renewable Energies in the 21st century; building a sustainable future – COM(2006) 848 final" (PDF). Retrieved 27 January 2007. ↑ "Council Directive 2004/67/EC of 26 April 2004 concerning measures to safeguard security of natural gas supply". Eur-lex.europa.eu. Retrieved 23 April 2011. ↑ "Rapid – Press Releases – EUROPA – The International Partnership for Energy Efficiency Cooperation (IPEEC)". Europa.eu. 8 June 2008. Retrieved 23 April 2011. ↑ "Directive 2002/91/EC of the European Parliament and of the Council of 16 December 2002 on the energy performance of buildings". Eur-lex.europa.eu. Retrieved 23 April 2011. ↑ "Council Directive 92/42/EEC of 21 May 1992 on efficiency requirements for new hot-water boilers fired with liquid or gaseous fuels". Eur-lex.europa.eu. Retrieved 23 April 2011. ↑ "[ARCHIVED CONTENT] DCLG News Release - Department for Communities and Local Government". ↑ European Energy Performance of Buildings Directive (Directive 2002/91/EC), Official Journal of the European Communities, published 02-12-16. Retrieved 2008-06-02. ↑ Mulvey, Stephen (7 February 2007). "EU car CO2 fight only beginning –". BBC News. Retrieved 23 April 2011. ↑ "Commission plans legislative framework to ensure the EU meets its target for cutting CO2 emissions from cars". Europa.eu. Retrieved 23 April 2011. ↑ Bilefsky, Dan (6 February 2007). "EU to compromise on auto emissions – Europe – International Herald Tribune". The New York Times. Retrieved 23 April 2011. ↑ "European Commission - PRESS RELEASES - Press release - Stricter fuel standards to combat climatechange and reduce air pollution". ↑ Fiona Harvey. "Airlines can be charged for carbon pollution, court rules". the Guardian. ↑ "Directive 2003/87/EC of the European Parliament and of the Council of 13 October 2003 establishing a scheme for greenhouse gas emission allowance trading within the Community and amending Council Directive 96/61/EC". Eur-lex.europa.eu. Retrieved 23 April 2011. ↑ "Directive 2010/30/EU of the European Parliament and of the Council of 19 May 2010 on the indication by labelling and standard product information of the consumption of energy and other resources by energy-related products". Eur-lex.europa.eu. Retrieved 23 April 2011. ↑ Neslen, Arthur (1 November 2016). "Renewables could lose European power grid priority, documents reveal". The Guardian. London, United Kingdom. ISSN 0261-3077. Retrieved 2016-11-01. ↑ "Fusion for Energy". Fusionforenergy.europa.eu. Retrieved 23 April 2011.